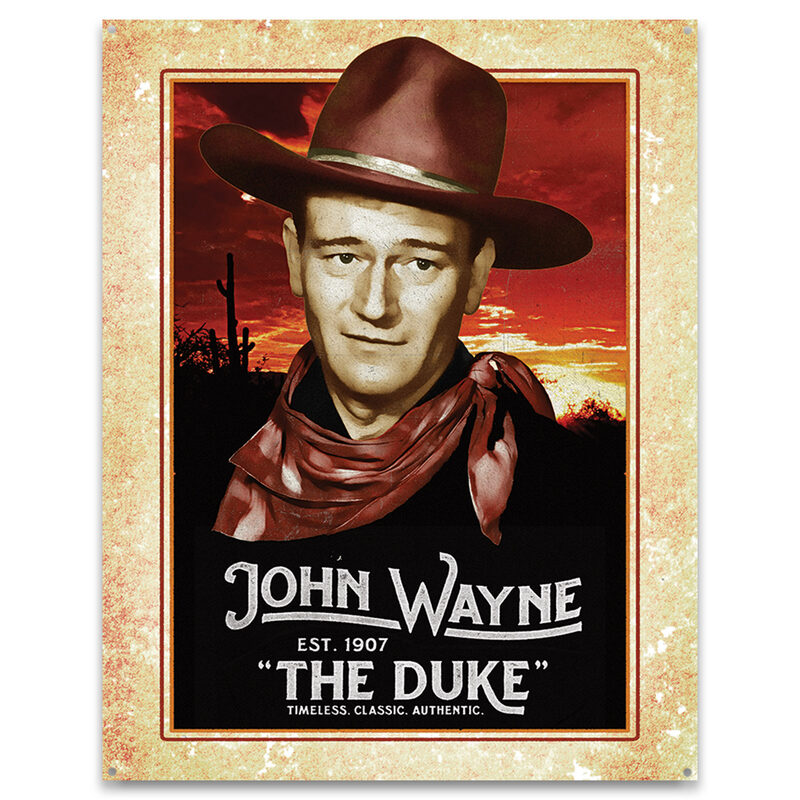 John Wayne Classic Tin Sign - Collectible, Corrosion Resistant, Fade Resistant, Rolled Edges, Mounting Holes - 12 1/2”x16” | BUDK.com - Knives & Swords At The Lowest Prices! Perfect for John Wayne fans, this vintage looking tin sign features a classic portrait of the legendary “Duke"
This John Wayne “The Duke” Tin Sign is an incredible collector’s item. The vintage look and the classic portrait of the legendary actor make it a great conversation piece and a perfect addition to your home or office. Proudly made in the USA, this rustic sign boasts high quality materials and a flawless design.